English video lessons - which reveal the hidden Art Of Conversation! 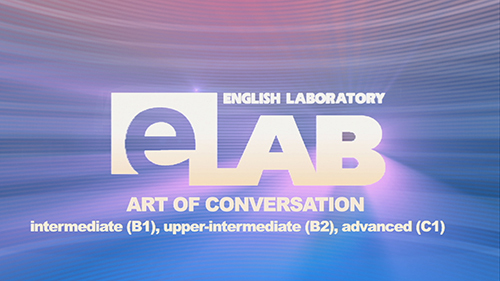 Addressing the need to improve English conversational skills of Upper-Intermediate level English Club TV’s E-lab series presents “Art of Conversation”. The series is specifically created to help students learn conversational English online. The specialty of the program is that the host invites two students to join him in discussing English conversation and its intricacies. Episode content varies but also centered around conversational skills, such as confidence, etc. The TV show is based on the principle that a complete theoretical knowledge of English is still incomplete without the practical knowledge of the “art of conversation”. It is an exceptional way for Upper-Intermediate level students to learn conversational English online.